Needless to say, one is glad that religion strives to work for the realization of the moral principle. Yet the moral imperative is not a matter for the church and religion alone but the most precious traditional possession of all mankind. Consider from this standpoint the position of the press, or of the schools with their competitive method! Everything is dominated by the cult of efficiency and of success, and not by the value of things and men in relation to the moral ends of human society. To that must be added the moral deterioration resulting from a ruthless economic struggle. The deliberate nurturing of the moral sense also outside the religious sphere, however, should help also in this, to lead men to look upon social problems as so many opportunities for joyous service toward a better life. For looked at from a simple human point of view, moral conduct does not mean merely a stern demand to renounce some of the desired joys of life but rather a sociable interest in a happier lot for all men. his conception implies one requirement above all - that every individual should have the opportunity to develop gifts which may be latent in him. Alone in that way can the individual obtain the satisfaction to which he is justly entitled; and alone in that way can the community achieve its richest flowering. For everything that is really great and inspiring is created by the individual who can labor in freedom. Restriction is justified only insofar as it may be needed for the security of existence. A few wise words about freedom from ex-president. "We need to reject any politics that targets people because of race or religion. This isn't a matter of political correctness. It's a matter of understanding what makes us strong. The world respects us not just for our arsenal; it respects us for our diversity and our openness and the way we respect every faith." Thank you Reivilson, I will definitely follow it. Together we can archive great things! 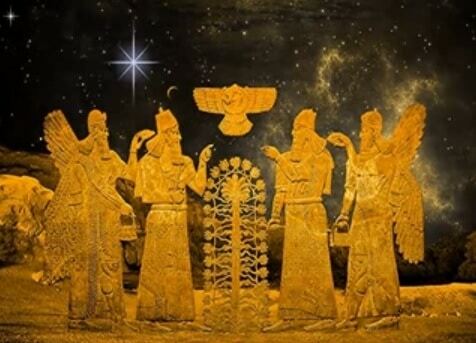 The Annunaki “Those Of Royal Blood” are believed to be immortal gods that inhabited the earth during the ancient sumerian time in mesopotamia. The Sumerian civilisation developed on the Persian Gulf, growing to strength at around 4 – 3,000 B.C. The ‘Plain of the Land of Shinar’ is the territory which after 2,000 B.C. became called Babylon. The Greeks named the region Mesopotamia (The land between two rivers), most of which lies in the modern state of Iraq. The first recorded civilization of mankind and they were advanced with currency, astronomy and farming. The exact origins of the Sumerians are unknown. They entered Mesopotamia around 4,000 B.C. The original homeland of the Sumerians is also unknown. It is believed that they came from the east, but whether by sea or from the highlands is unknown. We know that they are not local people because their language belongs to an isolated language group. During the 5th millennium B.C. a people known as the Ubaidians established settlements in the region later known as Sumer (Mesopotamia). It has been noticed that there are very clear similarities between the Ubaid artwork, and that of of ‘Old Europe’ Vinca Culture which flourished c. 6,000 – 3,500 BC. At around 3,250 BC, another people migrated from its homeland, located probably northeast of Mesopotamia, and began to intermarry with the native population. The newcomers, who became known as Sumerians, spoke an agglutinative language unrelated apparently to any other known language. By 3,100 B.C. the population of Sumer had increased to the point where people were living in cities. The first Sumerian ruler of historical record, Etana, king of Kish (flourished about 2,800 BC), was described in a document written centuries later as the “man who stabilized all the lands.” The early dynastic period of Sumer covers the part of the third millennium from 2,800 to 2,400 BC, and ends with the conquest of Sumer by a Semitic king of the north, Sargon I of Akkad. After the kingship descended from heaven, the kingship was in Eridug. In Eridug, Alulim became king; he ruled for 28,800 years. Alaljar ruled for 36,000 years. 2 kings; they ruled for 64,800 years. Then Eridug fell and the kingship was taken to Bad-tibira. In Bad-tibira, En-men-lu-ana ruled for 43,200 years. En-men-gal-ana ruled for 28,800 years. Dumuzid, the shepherd, ruled for 36,000 years. 3 kings; they ruled for 108,000 years. Then Bad-tibira fell and the kingship was taken to Larag. In Larag, En-sipad-zid-ana ruled for 28,800 years. 1 king; he ruled for 28,800 years. Then Larag fell and the kingship was taken to Zimbir. In Zimbir, En-men-dur-ana became king; he ruled for 21,000 years. 1 king; he ruled for 21,000 years. Then Zimbir fell and the kingship was taken to Curuppag. In Curuppag, Ubara-Tutu became king; he ruled for 18,600 years. 1 king; he ruled for 18,600 years. In 5 cities 8 kings; they ruled for 241,200 years. The Sumerians are amongst the first people to leave sophisticated records of their astronomical observations. Their fascination with the heavens is apparent in the large number of seals and cuneiform tablets unearthed of an astronomical nature. The Sumerians were the first to divide both space and time by units of six. The modern division of the year into 12 months, the 24 hours of each day, the division of hours into 60 minutes and 60 seconds, and the divisions of the circle/sphere by 360 degrees, each composed of 60 minutes and 60 seconds of an arc, are all Sumerian developments. This same division by units of six has been observed at several of prominent British megaliths. The Sumerians were also aware of the importance of Pleiades, showing it in several seals and images. In addition to being thought of as the seven great gods gathered together, the morning setting of Pleiades was used to mark the beginning and end of the agricultural year. This cylinder seal (VA/243 -State Museum, East Berlin), shows a ‘star’ with several (eleven) planets surrounding it. However, as there are no known records of the Sumerians having knowledge of any more than five planets in our solar-system the jury’s out over what it represents. These beings were not from this world and had a special bloodline. The Nephilim , offspring from the Annunaki and human beings, were on the earth in those days. Zecharia Sitchin believes that the Annunaki genetically engineered modern day humans by crossbreeding with homo erectus. They did this to use humans as a slave race in order to mine gold from the earth. According to Sitchin’s interpretation of Sumerian cosmology, there is a hypothetical planet which follows a long, elliptical orbit, reaching the inner solar system roughly every 3,600 years. This planet is called Nibiru (the planet associated with Marduk in Babylonian cosmology). Nibiru collided catastrophically with Tiamat, another hypothetical planet that was between Mars and Jupiter. The collision formed the planet Earth, the asteroid belt, and the comets. Tiamat, as outlined in the Enûma Elish, is a goddess. According to Sitchin, however, Tiamat may have been what we now know as Earth. When struck by one of planet Nibiru’s moons, Tiamat split in two. On a second pass Nibiru itself struck the broken fragments and one half of Tiamat became the asteroid belt. 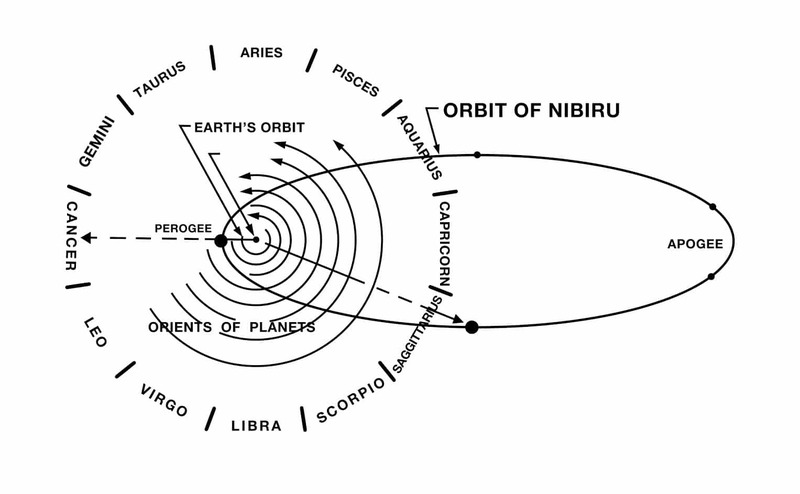 The second half, struck again by one of Nibiru’s moons, was pushed into a new orbit and became today’s planet Earth. This scenario is scientifically disputed. However, Sitchin’s supporters maintain it would explain Earth’s peculiar early geography due to cleaving from the celestial collision—i.e. solid continents on one side and a giant ocean on the other —and would also explain why the Earth is layered in sediments. According to Sitchin, Nibiru was the home of a technologically advanced human-like extraterrestrial race (called the Anunnaki in Sumerian myth) who were called the Nephilim in the Bible. He claims they first arrived on Earth probably 450,000 years ago, looking for minerals, especially gold, which they found and mined in Africa. 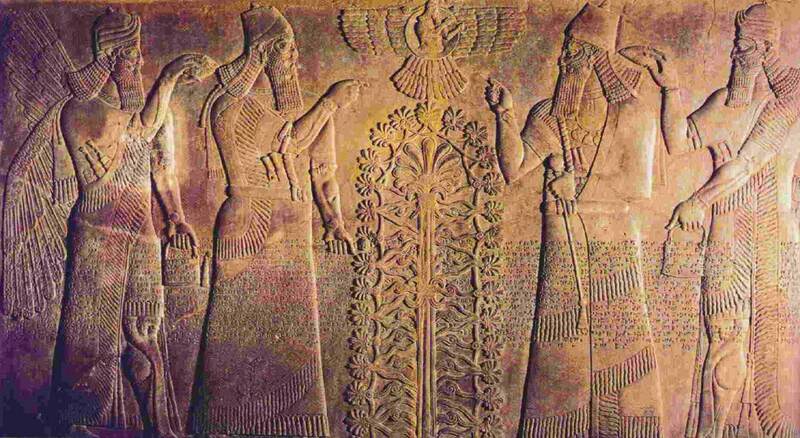 These “gods” of the Anunnaki were the rank and file workers of the colonial expedition to earth from planet Nibiru. Are Humans A Genetically Engineered Slave Race? Sitchin believes the Anunnaki genetically engineered Homo sapiens as slave creatures to work their gold mines by crossing extraterrestrial genes with those of the Homo erectus. 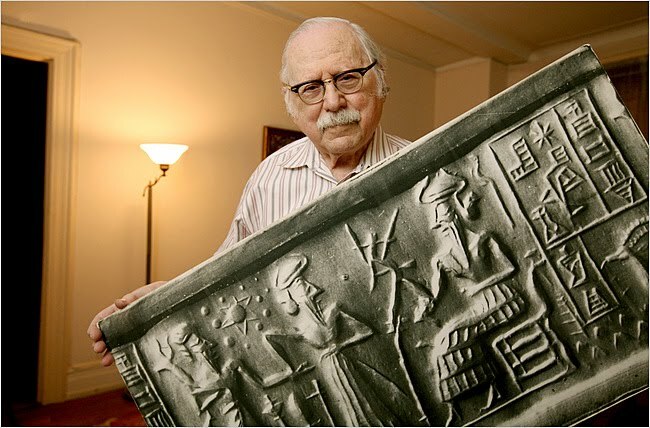 Sitchin claims ancient inscriptions report that human civilization in Sumer of Mesopotamia was set up under the guidance of these “gods”, and human kingship was inaugurated to serve as an intermediary between the Anunnaki and mankind. Sitchin believes that fallout from nuclear weapons used during a war between factions of the extraterrestrials is the “evil wind” that destroyed Ur around 2000 BC (Sitchin himself claims the exact year is 2024 BC), as recorded in the Lament for Ur. Sitchin claims that his research coincides with many biblical texts, and that the biblical texts come originally from the Sumerian writings of their history. The Creator of Mankind. Our "Gods". Together on way to the golden age of freedom! The golden rule is "All as One". The Goal which I want to achieve is to push the limits on humankind to end, achieve technology which nobody even dreams about and rule the universe in peace and freedom. We need to rely on ourselves, we're not perfect, we probably never will be perfect and that's why we need to stand us one, face our mistakes and made them never happen again. Stars are waiting, peace needs to be achieved so our kids and grandkids and they grandkids for millennia can have happy long lives. We need to start acting now! Wspólnie na drodze ku złotej erze wolności! Celem jaki chcę osiągnąć jest popchnięcie ludzkości do końca, osiągnąć technologię o jakiej nikt nigdy nie śnił oraz panować nad wszechświatem w pokoju i wolności. Musimy polegać na nas, nie jesteśmy perfekcyjni, prawdopodobnie nigdy nie będziemy i dlatego powinniśmy stanąć jak jeden mąż, zmierzyć się z naszymi błędami i sprawić, aby nigdy więcej się nie powtórzyły. Gwiazdy czekają, trzeba osiągnąć pokój, aby nasze dzieci i wnuki oraz ich wnuki przez tysiąclecia mogły cieszyć się szczęśliwym długim życiem. Musimy zacząć działać już teraz! Spoločne na ceste k zlatému veku slobody! Zlatým pravidlom je "Všetci za jedného". Cieľ, ktorý chcem dosiahnut je dosiahnutie limitov ľudstva, dosiahnutie technológie, o ktorej ešte nikto nesníval a o vláde vesmíru v slobode a mieri. Potrebujeme sa na seba spoliehať, nie sme a pravdepodobne nikdy nebudeme dokonalí a preto musíme držať pokope, stáť ako jeden, čeliť naším chybám a vyvarovať sa im, aby sa nezopakovali. Hviezdy na nás čakajú, potrebujeme dosiahnúť mier aby naše deti, vnúčatá a ich pravnúčatá mohli mať šťastné životy po miléniá. Potrebujeme začať konať hneď! Together on way to the golden age of freedom! The golden rule is "All as One" so Vote for me and have thigs Done! Hi my name is Mateusz (eng. Matthew). I'm living currently in Bratislava so Capital of Slovakia and I'm poetry and songs writer. I'm glad to join Asgardian Community and became an Asgardian Citizen. That's for me extremely big step in to future, creating a Space nation as whole humanity is something I was waiting long time. I hope we will finally unite as one and together make for us and our kids bright future in space. We might not live that long to actually move to another planet but we can press to make perfect rules and perfect plan for our nation. Now when we not actually have territory and enough technology to go out in space and conquer it, we still can make a solid base for future Asgardians. I wanted to thanks Dr. Igor Ashurbeyli for Concept of "Asgardia - the Space Nation" and wish that we all will make it real! ~Asgardia - Freedom, Peace and Wellness for everyone! Welcome! We have many discussions and projects happening at the moment. We welcome your ideas. Be sure to familiarize yourself with the terms if you haven’t already. Let us know if you have any questions. https://asgardia.space/en/forum/forum/forum-announcements-10/topic/asgardiaspace-posting-rules-82/ English is the language used on most Asgardian forums. The exception is on the regional forums where you can use your own language. It is recommended to use Google Translate to use the english speaking boards for your convenience. If you have any further questions please let us know.